Today is Day 3 of the tic tac toe dress blog tour! This week and next you will see eighteen beautiful dresses sewn up by bloggers from around the world. 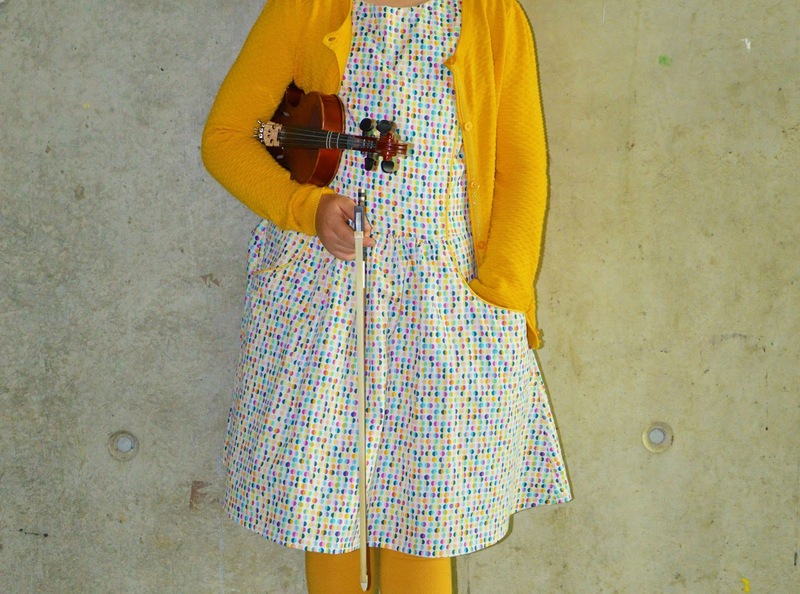 Until next Friday, you can receive 10% off the price of the tic tac toe dress (and all sewpony vintage patterns) with the code TICTACTOE10. Apply it at checkout in the sewpony vintage shop HERE. Use #tictactoedress to tag your creations. Today on tour are Maaike from MaaiDesign, Hanne from Naadjes en draadjes + Nelleke from GaafMachine.Maaike from MaaiDesign is a relatively new blogging/sewing friend of mine. I discovered her and her lovely shop and blog earlier this year. Maaike is originally from Belgium but now lives in Sydney with her family where she runs an awesome online fabric store - MaaiDesign. Maaike stocks beautiful Belgium fabrics such as Soft Cactus and Bambiblauw. Head over to MaaiDesign to see more of this gorgeous dress and have a look around her beautiful shop while you are there!! Hanne was one of my lovely testers. She blogs from Naadjes en draadjes and loves to sew for her two daughters. She made a gorgeous dress for her eldest daughter. I love it paired with a yellow cardigan and tights - perfection! Thank you Hanne! Thirdly, is Nelleke from Gaaf Machine. 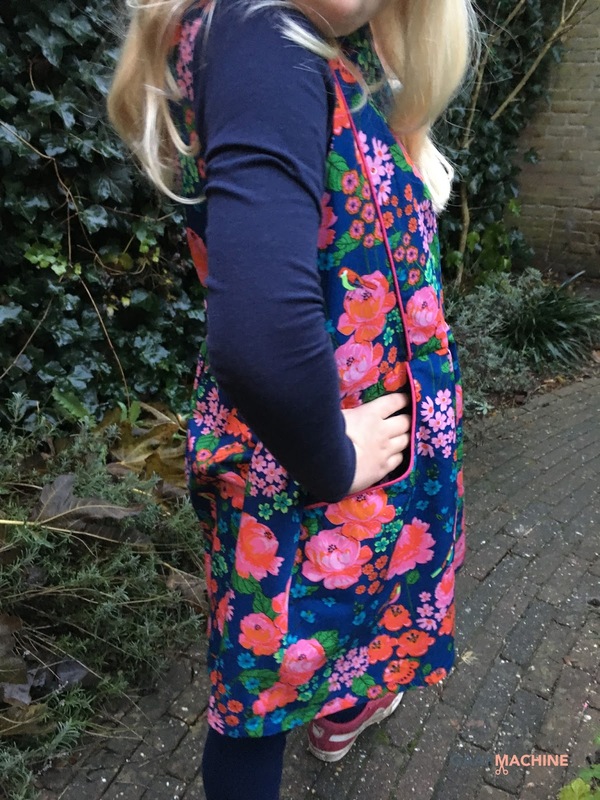 I was introduced to Nelleke during my last test for Miss Polly and she is here again to show you a gorgeous dress! Nelleke kindly proof read the Dutch translation of tic tac toe. 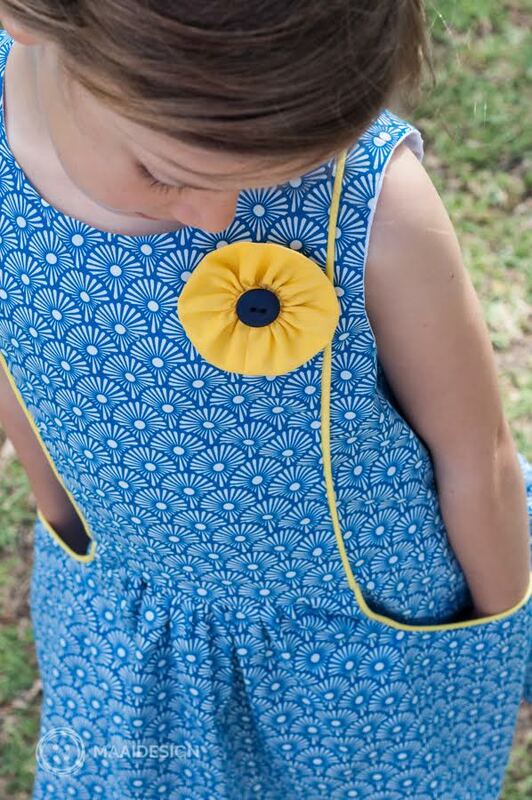 Nelleke makes great pieces for her daughter. Please go and check out this awesome tic tac toe dress over at Gaaf Machine! I love that she has paired it with a long sleeve top for the cooler weather. Thank you so much Maaike, Hanne and Nelleke! Be sure to come back next week to see more beautiful tic tac toe dresses!! Make sure to search #tictactoedress on social media to see more inspiration and don't forget to tag your dresses too! Thanks for having me Suz! I really love this dress, just as I love the Polly. I know I will be making them again and again :). Great patterns! Thank you for your kind words Suz! My daughter is so happy with her dress!! It's been great seeing all the different versions of your pattern!